According to the data compiled by industry tracker IHS Markit, the global market for smartphone displays came to US$10.7 billion in the July-September period, with OLED panels taking up 61.1 percent, or $6.6 billion. South Korea's Samsung Display Co. accounted for 93.3 percent of the smartphone OLED panel market in the third quarter and also accounted for 94.2 percent of the market for flexible OLED panels. 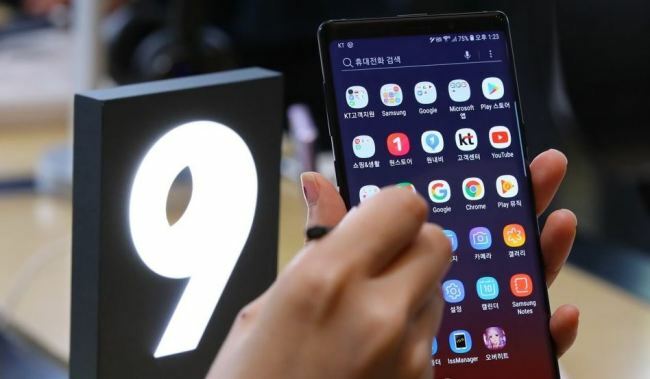 As for the entire smartphone display market, which also includes liquid-crystal displays, Samsung's market share stood at 57.8 percent in terms of revenue, far above China's BOE and Tianma, which posted 7.8 percent and 7.7 percent, respectively.